Well, here is my DISC personality profile. I was checking out this site to find a short test to give some prospective employees and did the test to see what you get for free. I believe I might get the full one, it's not that expensive. Anyway, I thought I'd share this with you. If you know me, let me know if you think this is like me. Click on the title of the blog to go to the website, do yours and let me know what yours is. You can even post it on Facebook if you're brave and courageous! Kathie , as the "Ring Leader " you have a powerful personality with the outgoing nature and drive to make things happen, even if the odds are stacked against you. Self-directed and self-motivated, you naturally gravitate towards leadership positions. People are likely drawn to your contagious enthusiasm and big personality, which paired with your strong determination can win others over to your objectives and point of view very quickly. You are naturally charismatic, persuasive, and relational. In times of pressure, you tend to be objective in your approach and direct in your communication, yet can remain diplomatic and sensitive to others. In times of low stress, however, you can mix business with pleasure and come alive in social situations. Naturally, optimistic, you seek out the possibilities in life, yet value stability and consistency. Your creativity and ability to solve problems are some of your greatest strengths. This paired with your drive and vision allows you to create new opportunities, keeping your experiences fresh and exciting. Often bored by routines, you find daily tasks to be mundane and like to mix things up, preferring to develop new ideas rather than maintaining systems already in place. You are a bold person, whose character is marked by originality, expressiveness, generosity, and determination. You are a natural born communicator and an adept social navigator. Where often others will sit by, you will engage new people or invite others in to make them feel at home. You may develop friends easily, exhibiting a high sense of loyalty and a desire for a positive group dynamic. With a talent for creative reasoning and big picture thinking, you can be a great innovator and are typically seen this way by others. Your energy and forward thinking can generate a team-oriented environment, helping you to accomplish your goals by motivating others, while creating an atmosphere that is fun and exciting. Bored by routine, you may have a short attention span and change scenarios often. Challenges arise for you in time-management and with detailed tasks that involve a long commitment of time or repetitive activity. You are talkative and get excited about your ideas. In social situations, bring attention to whether you are focusing on what others are saying or on what you are going to say next. You may be short-tempered and lack patience with others when frustrated. In these times, your body language and tone can become acutely direct, which can be threatening or offensive to more passive styles. This is a common communication breakdown that can only improve through understanding and awareness. Being a self-directed person, you do not like to be rushed or pressured. 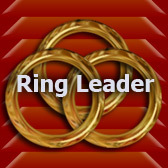 You probably prefer leadership roles and may have a difficult time with other's authority or rules. You have a strong need to be recognized for your accomplishments and actions and approved of by others. You may have a tendency to be generous with those around you, and will especially struggle in times of feeling taken advantage by others. You are a big picture thinker and may not gather all the needed information before making decisions or moving forward on something you are excited about. Having a detail-oriented person who can gather information and support your visions with information will help you in achieving your goals.